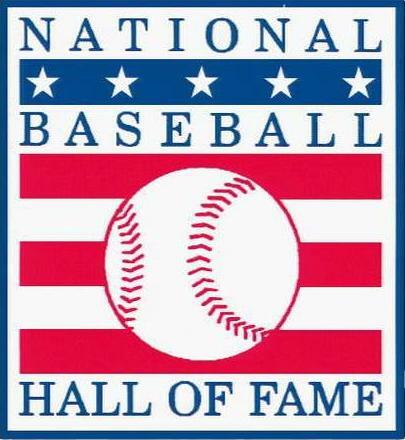 The 2013 Major League Baseball Hall of Fame class will be announced this week (Wednesday, 2 p.m. EST, MLB Network), and it’s one of the most star-studded, controversial groups the sport has ever seen. Members of the 3,000 hit club (Craig Biggio, for example), fan favorites (Kenny Lofton comes to mind), and admitted PED users (a large portion, but namely Sammy Sosa, Rafael Palmeiro and Mark McGwire) grace the list. There are a million different ways to go with this class, and a lot of it hinges on one’s personal belief about steroid users and whether or not they are deserving of baseball’s highest honor. Some believe that nobody will be elected this year. Others believe it will be one of the biggest classes of all-time. Here at Three Up, Three Down, we don’t get a real vote. So instead, we polled ourselves to see who we would elect if we had the chance. Per BBWAA rules, a player must receive at least 75 percent of the vote to be enshrined, and each voter can turn in a ballot with anywhere from 0-10 players listed. We’ve enlisted the help of three friends of the podcast, including two members of the 2012 MLB Fan Cave top 30: Kelsey Shea, Megan Washington, and Matt Mapes to get us to eight votes, meaning six are needed to get into 3U3D Cooperstown. Will Dale Murphy get elected on his 15th and final time as a candidate? 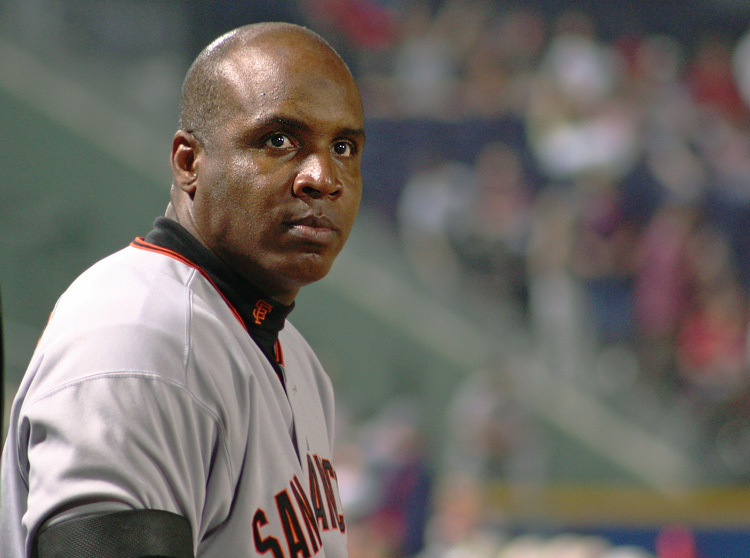 Will Barry Bonds bypass the issues surrounding his career and score a spot? Is Curt Schilling worthy at all? Read on to find out! 1. Jeff Bagwell (87.5%) – KP: Even today when you mention the Houston Astros, the first two guys that pop into mind are Craig Biggio and Jeff Bagwell. They shaped that franchise during their time there and have been role models for the hard nosed, tough, and gritty player. All of this, and I haven’t even mentioned their stats that include a 3,000 hit club member and a Rookie of the Year/MVP combo. 2. 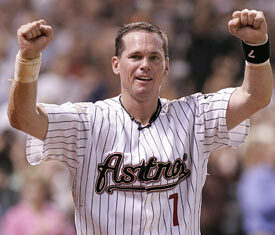 Craig Biggio (87.5%) – Megan: Craig Biggio is one of only 28 men who have reached 3,000 hits. Biggio’s bat also placed him fifth all-time in doubles; the only player in the top four not already in the Hall of Fame from that list is Pete Rose. The crazy thing about Biggio is that some players don’t get recognized as an All-Star at one position, let alone as a catcher AND second baseman. 3. 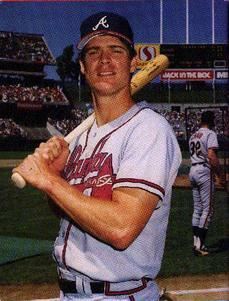 Dale Murphy (87.5%) – Mapes: Dale Murphy, or “Murph,” is the most interesting, non-steroid case on the ballot. His numbers stack up as one of, if not the best player of the 1980’s. He won back-to-back MVP’s. He had a 30-30 season when they were rarer. He won five straight Gold Gloves. He once played in 740 straight games. Unfortunately, the prime of his career was so short and his counting statistics don’t add up. However, where Murphy made his mark in baseball history is off-the-field. He was the only player in the 1980’s to win both the Lou Gehrig and Roberto Clemente Award’s for his charity work. In a baseball era now where we are keeping great players OUT of Cooperstown for doing the wrong things, shouldn’t we reward a great player who did all the right things and more? 4. 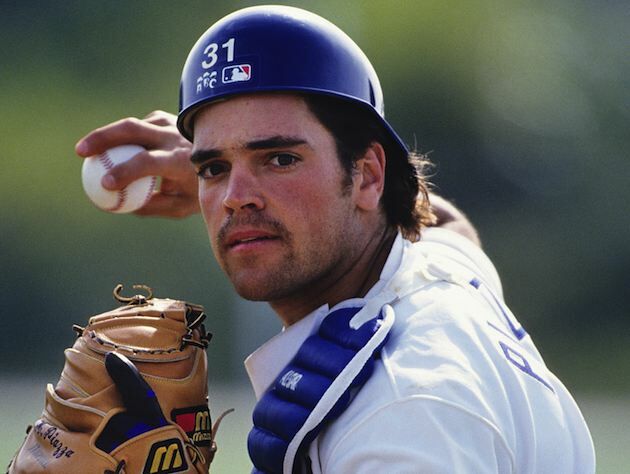 Mike Piazza (75.0%) – Jeremy: As a lifelong Dodgers fan, I’ve always had a soft spot for Mike Piazza, even if he did say he would go into the Hall with a Mets hat on. Piazza couldn’t actually catch worth a damn, but the 1993 Rookie of the Year and 12-time All-Star is still headed for Cooperstown. His .308 average, 427 homers, 1,335 RBI and .922 OPS in 16 seasons doesn’t make Piazza “arguably” the greatest offensive catcher of all time; it cements it. 1. Don Mattingly (50.0%) – Kelsey: This isn’t a ploy to make Jeremy like me – I really believe Don Mattingly has been unfairly ignored as a Hall of Fame candidate. He only averaged about 20 home runs per season, but in his 1985 MVP season, he hit .324 with 35 homers and a ridiculous 145 RBI, and Mattingly held a .307 career average. And as usual, his nine Gold Gloves are overlooked, despite the massive importance defense SHOULD play in a Hall of Fame vote. And really, if your number is retired by the Yankees of all teams, you should earn an automatic pass to the Hall! 2. Fred McGriff (50.0%) – KP: “The Crime Dog” never really got much publicity, but was so consistent over his career. I don’t think that finishing at 493 home runs, instead of 500 should stop Fred McGriff from getting votes. That’s like saying Al Simmons and his 2,927 hits shouldn’t be considered because he didn’t crack 3,000. C’mon man! How can you hate on a guy who still has TV cameos with the Tom Emanski commercial running for baseball skills? All I’m saying is I hope he doesn’t have to wait for more “Back-to-Back-to-Back AAU National Championships” to get into the Hall of Fame (+1 for all those who get the reference). 1. Barry Bonds (37.5%) – Brian: What else can I say? The man hit the most home runs in Major League history, and is the only member of the 400/400 AND 500/500 clubs. Even before he likely started using PED’s, Barry Bonds was the best player in baseball for nearly a decade. He and his seven MVP’s deserve a spot in the Hall of Fame. 2. Roger Clemens (37.5%) – Angelo: Brian’s case for Bonds is very similar to my case for Roger Clemens. Despite the controversy surrounding him, “The Rocket” was one of the best pitchers of all time. Seven Cy Youngs, 354 wins, 4,672 strikeouts and an MVP award blow your argument out of the water, just like Clemens blew away hitters over 24 unbelievable seasons. 3. Edgar Martinez (37.5%) – Matt: Let me start by saying the DH jibber-jabber is a bunch of malarkey. If players like Don Mattingly are going to be held out of the Hall despite terrific defense, then you better stick to your guns and welcome the best offensive players, even if they have defensive deficiencies. Edgar Martinez, a fan favorite (and not just in Seattle), MADE the DH position. He is the best who ever lived to play DH, and has a career .312 average. Put the man in Cooperstown! 4. Larry Walker (37.5%) – Matt: Very simply, I loved Larry Walker. He was one of the most consistent players of the 90’s and early 2000’s, and never got the respect he deserved (sort of like current Rockie Todd Helton). Walker hit .363 and .379 in 1998 and 1999, respectively, wining two of his three career N.L. batting titles. Explain to me how all the voters have missed the 1997 MVP’s .313 career average, nearly 400 homers and nearly 230 stolen bases, in his first two years of eligibility? 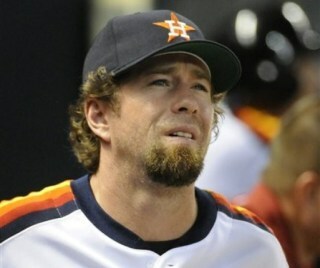 His .400 career on-base percentage was 37 points higher than Biggio’s even! 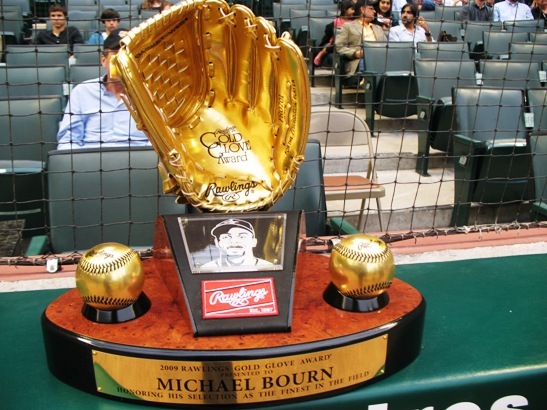 Did I mention the seven Gold Gloves? 5. Lee Smith (25%) – Jeremy: What else does Lee Smith have to do? A career 3.03 ERA, 478 saves (most all-time until Trevor Hoffman came along), and 8.7 K/9 for his career. I know closers aren’t held as highly in the voter’s eye, but Smith not being in the Hall yet is a travesty. 6. Curt Schilling (25%) – Megan: Curt Schilling was a tough call for me because I feel like I’m still on the fence and not just because he was a former Red Sox player, but because his career wasn’t a picture of consistency. You can’t base a vote on postseason work alone–though his postseason stats are crazy. He’s a six time All-Star, led his league two different years in wins, strikeouts and WHIP… and he has a few special rings. 1. Mark McGwire (12.5%) – Brian: Similar to Bonds, “Big Mac,” is a legend for a lot of good reasons and a lot of bad reasons. 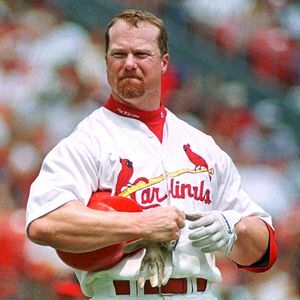 Mark McGwire took steroids and helped propel a then-single-season record of 70 homers out of the park in 1998. In the process, he helped save a sport that seemed to be dying at the time. His contribution to the game and his raw talent (583 career homers) gets my vote – remember, steroids don’t make a swing good, they just make the ball go farther. 2. Jack Morris (12.5%) – Kelsey: I didn’t vote for Jack Morris, but it was tough to leave him off. If this year’s class wasn’t so loaded, he would probably be on my ballot. With “only” 254 career wins and a decent 3.90 career ERA, voters might be scared off. Sure, Morris never won a Cy Young, but he was one of the most dominant pitchers of the 80’s, racking up at least 14 wins in nine separate seasons that decade, 13 times in his career overall. 3. Tim Raines (12.5%) – Mapes: This site can better explain Tim Raines candidacy than I ever could. Raines was overshadowed by Rickey Henderson, but is a Hall of Famer in his own right. When you steal 808 bases in a career, you deserve serious consideration. 4. Alan Trammell (12.5%) – Angelo: A Detroit Tiger for life, Alan Trammell is someone I will strongly back for the Hall of Fame as long as humanly possible. His career stats (.285, 185 homers, 1,003 RBI, 236 steals) aren’t overwhelming, but he had nearly 2,400 career hits and four Gold Glove awards. Baseball-Reference.com’s player-rater (determined by fans) has him ranked the 53rd best hitter of all time. That’s plenty of evidence for me. 5. David Wells (12.5%) – Brian: Why does a guy like David Wells, who has 239 career wins, decent ERA and WHIP, nowhere near 3,000 strikeouts, off-the-field issues, and only two All-Star appearances crack my ballot? Well, he threw a perfect game, has two rings, and, well…is an awesome dude. Wells never finished above third in the Cy Young vote, but his consistent success with nine teams over 21 years gives me reason to vote in his favor. Tweet us about our picks! We are more than happy to discuss, debate, and analyze with you. If you like what you see, you can also follow @3u3d on Twitter and LIKE us on Facebook at Three Up, Three Down!